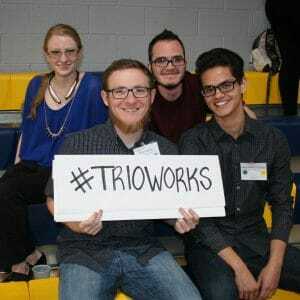 TRiO programs are a set of federally funded college opportunity programs that motivate and support students from disadvantaged backgrounds in their pursuit of a college degree. Student Support Services is one of five TRiO programs offered at Northern Arizona University. Explore the other four below. Upward Bound is a year-round program that provides educational services and college preparatory assistance to high school students who will be first-generation college graduates. Educational Talent Search is a program aimed at providing support and assistance to middle school and high school students. Our Educational Opportunity Centers help you take the next step in your college career and give you the information you need to pursue your educational goals. Administered under the same regulations as the Upward Bound program, Four Corners Math and Science accepts freshmen or sophomore high school students interested in math and science careers. The program provides needed resources to succeed at the higher education level.